A Boston sports research organization says college athletes should be provided more information about the long-term consequences of concussions and brain trauma. 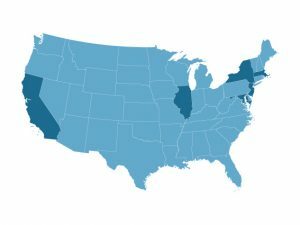 Researchers from the Sports Legacy Institute say the National Collegiate Athletic Association (NCAA) is distributing educational materials which make no mention of the risk of chronic traumatic encephalopathy (CTE) or the symptoms associated with the degenerative brain disease, which has been linked to repeated head injuries. The Sports Legacy Institute’s recommendation comes as the NCAA medical advisory committee plans to meet this week. The Boston sports organization advocates for awareness and education on concussions as well as proper diagnosis and management. CTE is a neurodegenerative disease believed to be caused by repeated trauma to the brain, such as concussions or blows to the head. It can only be definitely diagnosed through post-mortem analysis of the brain tissue after death. In 2010, the National Football League (NFL) began warning players about the potential long-term risks of repeated brain injuries. These include depression, memory problems and early dementia. The link between the NFL and brain damage in players was identified in 2002, when an autopsy was conducted on former Steelers center Mike Webster. The player, who suffered a heart attack at age 50, had brain trauma that appeared related to his 17-year football career. The NFL initially claimed there was no link between football and long-term brain damage, but has since acknowledged one. Hundreds of players began filing lawsuits against the league. In early June, the more than 80 pending lawsuits representing 2,000 players were consolidated into a lawsuit filed in federal court in Philadelphia. The consolidated lawsuit alleges the NFL failed to acknowledge and address neurological risks associated with the sport and then failed to tell players about the risks they faced. 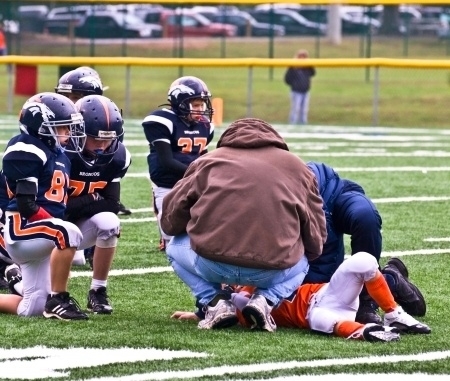 Just this week, national youth sports organization Pop Warner implemented rules to prevent concussions, including limiting the amount of contact drills, one-on-one blocking, tacking and scrimmaging to no more than a third of the total weekly practice time. The second rule change prohibits full-speed head-on blocking or tackling with players more than 3 yards apart.